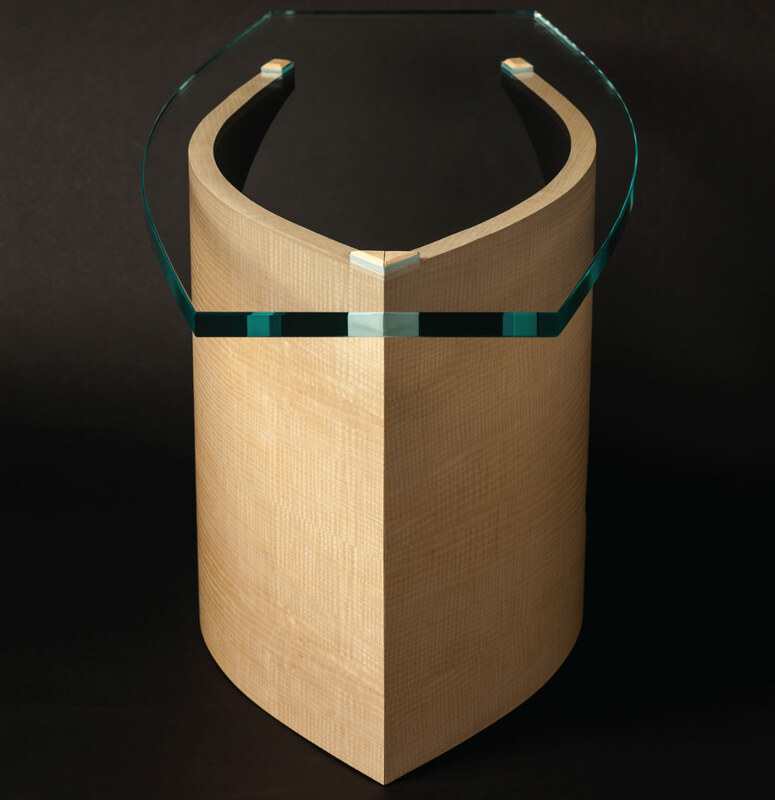 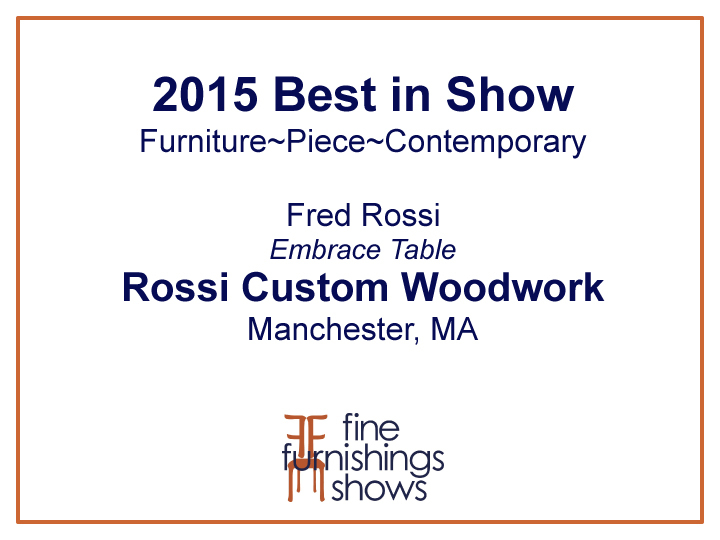 Best in Show Contemporary Piece at 2015 Rhode Island Fine Furnishings Show. 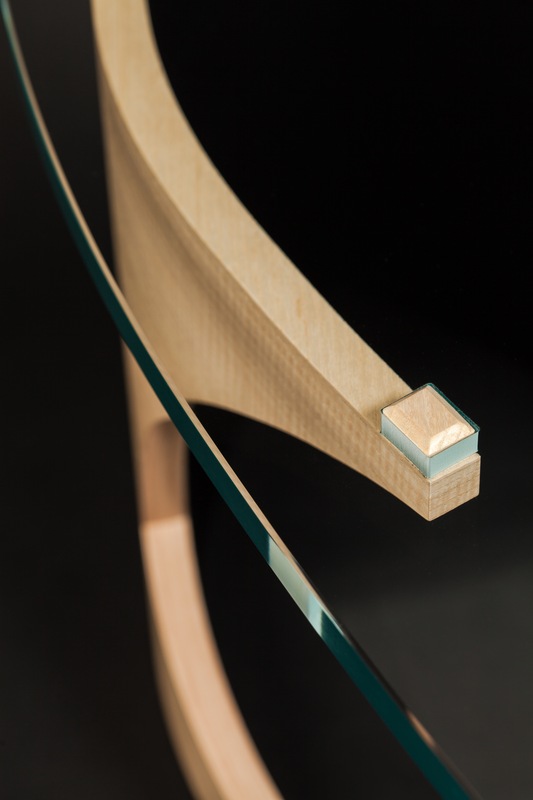 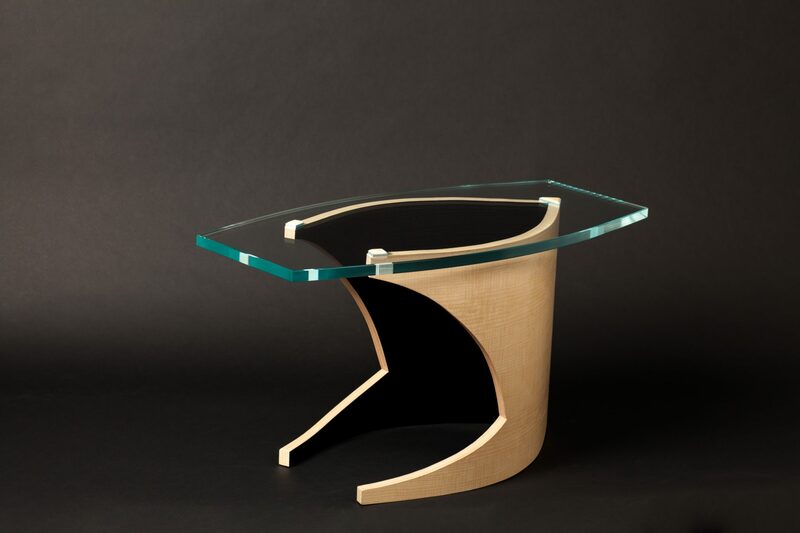 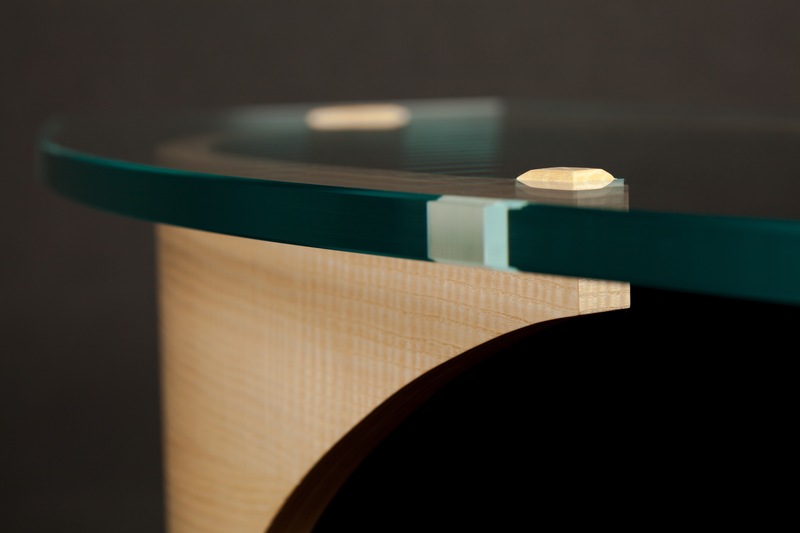 Sweeping curves and contrasting finishes create dynamic new table design. 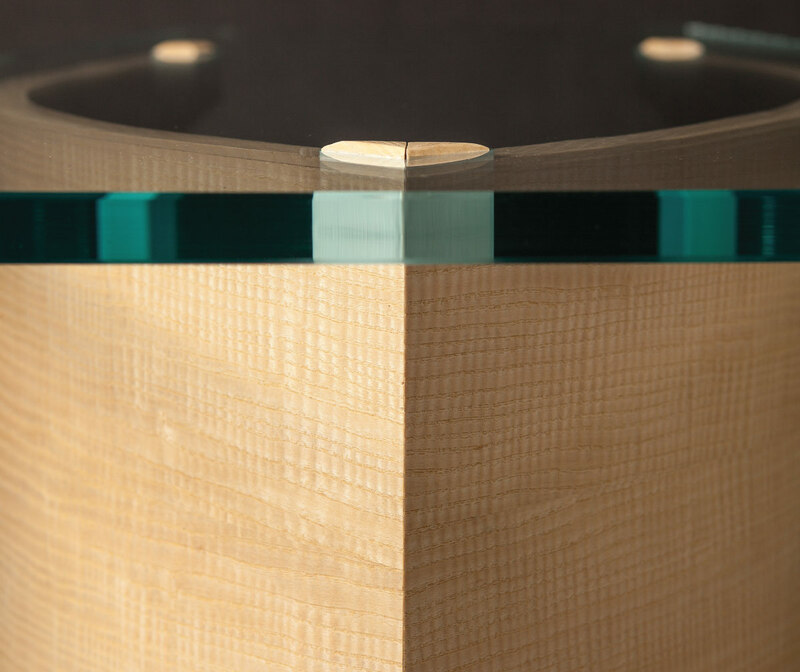 Highly quilted white ash veneers, intense black aniline dyed interior are highlighted by ultra clear Starphire glass. 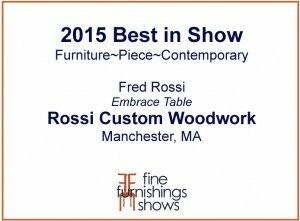 Judges of Fine Furnishings Show remarked that the entire Rossi Custom Woodwork collection “used a diverse range of woods in addition to a highly rendered design sense” and awarded Rossi with Best in Show Contemporary Collection.